Yearly fees and commissions per advisor top rivals at $1.12 million; average assets per rep stand at $150 million. 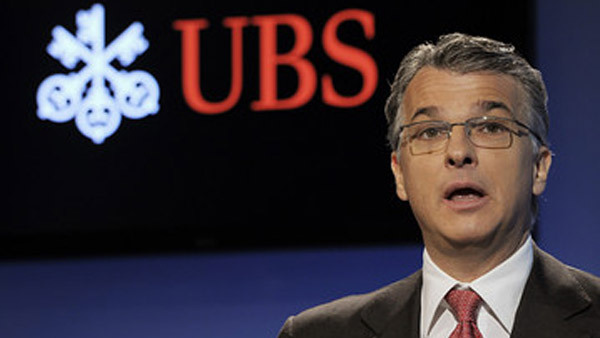 UBS Group (UBS) reported a second-quarter 2015 net profit of 1.2 billion Swiss francs ($1.3 billion) on Monday, up 53% compared with the second quarter of 2014, with diluted earnings per share of 0.32 Swiss francs. Its overall revenue increased 8.5% from a year ago to 7.8 billion Swiss francs ($8.1 billion) in the second quarter. The group’s wealth management operations in the Americas reported an adjusted profit before tax of $231 million, a drop of nearly 7% from the same year-ago period and close to 27% from the prior quarter. UBS attributes this to increased expenses – up 6% from last quarter and almost 4% year-over-year – related to higher litigation charges and legal fees. Wealth Management Americas’ expenses increased “mainly due to $71 million higher charges for provisions for litigation, regulatory and other matters as well as $21 million higher legal fees,” according to its earnings reports. “UBS believes that the industry continues to operate in an environment where charges associated with litigation, regulatory and similar matters will remain elevated for the foreseeable future and the bank continues to be exposed to a number of significant claims and regulatory matters,” the company said in a statement. Personnel expenses also marginally increased this quarter to $1.2 billion up roughly 1% from both last quarter and a year ago, reflecting higher financial advisor compensation on higher compensable revenues. Meanwhile, recurring net fee income and total operating income increased to record levels, the company says. Its operating income increased to $1.95 billion, up from $1.90 billion year-over-year and $1.90 billion in Q1’15. Net new money (NNM) was slightly negative at -$0.7 billion for the Wealth Management Americas division, compared to a positive $4.8 billion in the first quarter. This reflects “seasonal outflows of approximately $3.9 billion associated with income tax payments,” according to its earnings report. Including interest and dividends, net new money was $5.1 billion in Q2’15, down from $10.3 billion in the first quarter. UBS’ advisor headcount in the Americas was 6,948 as of June 30, down slightly from 6,982 in the first quarter and a decrease of 2% from 7,119 a year ago. Yearly revenue (or fees and commissions) per advisor stood at $1.12 million in the second quarter, up 3% from the first quarter and 5% from a year ago. Earlier this month, Merrill Lynch said it 16,419 reps have average production of $1.04 million as of June 30, while Morgan Stanley announced that its 15,916 FAs’ yearly fees & commissions are $978,000. Averaged invested assets per advisor reached $150 million in Q2, remaining stagnant from Q1 but up nearly 5% from a year ago. Total client assets reached $1.099 trillion as of June 30, a jump of 2% from a year ago but down slightly from $1.104 trillion in Q1’14.